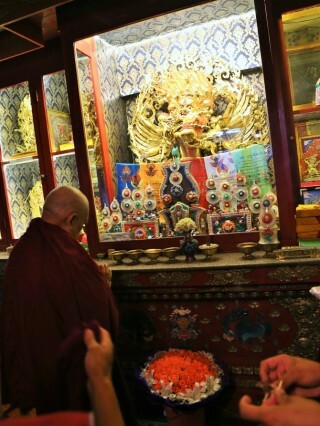 Lama Zopa Rinpoche showing respect to a Hayagriva statue on the altar at Idgaa Choizinling College in Mongolia. 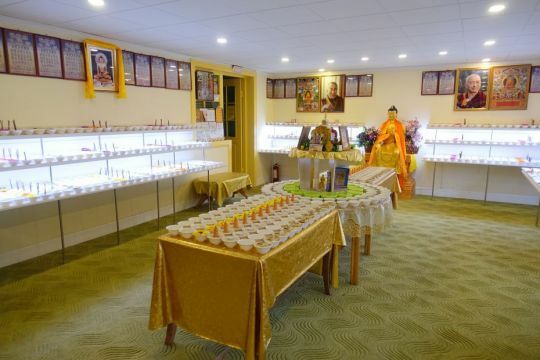 The Lama Zopa Rinpoche Bodhichitta Fund sponsors the electricity for lotus light offerings to all the holy objects on the altar at Idgaa Choizinling College in Mongolia. The lights are offered 24 hours a day, 365 days a year. Among the holy objects on this altar is an incredible Hayagriva statue (pictured on the right). 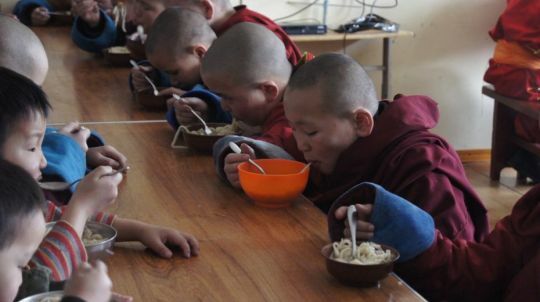 Additionally, the Supporting Ordained Sangha Fund offers sponsorship of daily lunch for the young monks studying at Idgaa Choizinling; and has recently offered a grant to cover the cost of a complete renovation of the monastery so there are more rooms and accommodation for the monks. The monks of Idgaa Choizinling enjoying lunch. 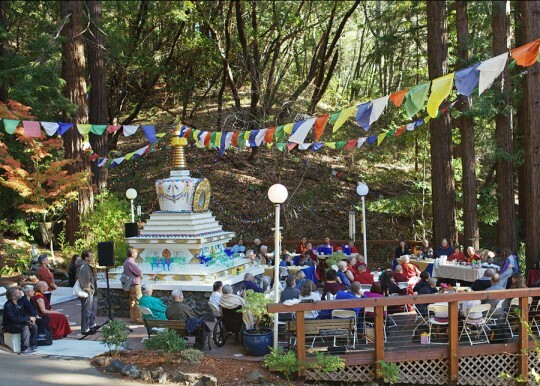 The annual 100 Million Mani Retreat, which is one of Lama Zopa Rinpoche’s Vast Visions, is also held in the Idgaa Choizinling gompa. Like that, one will be enriched with the desirable things. At the end, you can actually achieve the result: the peerless cessation and completion (enlightenment). 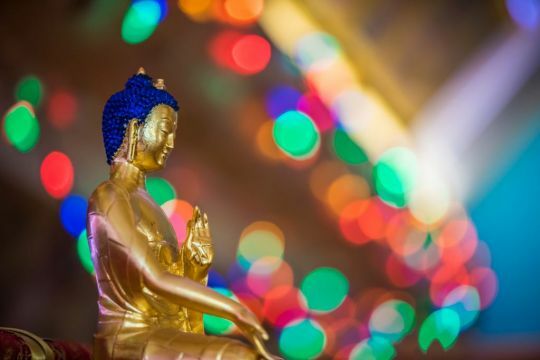 Please rejoice in this continuous offering of light to these incredible holy objects, the daily lunches for the young monks, the renovation of the monastery, and the annual 100 Million Mani Retreat in Mongolia. You can learn more about the many beneficial activities of the Lama Zopa Rinpoche Bodhichitta Fundor other Charitable Projects of FPMT. Posted in Lama Zopa Rinpoche Bodhichitta Fund, Ordained Sangha. Posted in Lama Zopa Rinpoche Bodhichitta Fund, Ordained Sangha, Retreats and Practices. Posted in Holy Objects, Lama Zopa Rinpoche Bodhichitta Fund, . Lama Zopa Rinpoche with Chief Representative Chophel Thupten. 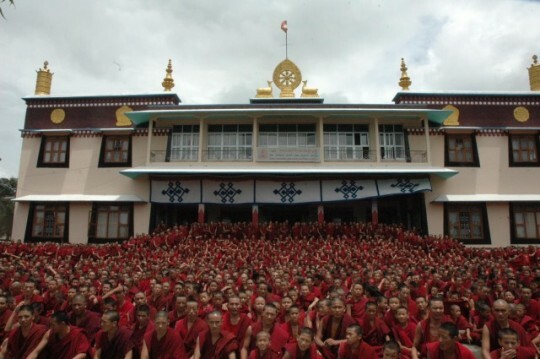 The Central Tibetan Administration (CTA) is an organization based in India with the stated goals of “rehabilitating Tibetan refugees and restoring freedom and happiness in Tibet.” The CTA attends to the welfare of the Tibetan exile community in India, who number around 100,000. 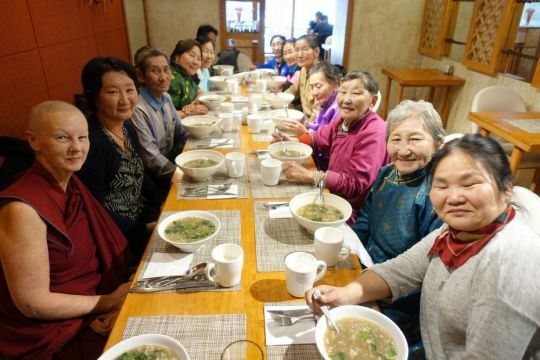 It runs schools, health services, cultural activities and economic development projects for the Tibetan community as well as assists with legal issues which might arise for Tibetans in exile. More than 1,000 refugees still arrive each year from China, usually via Nepal. 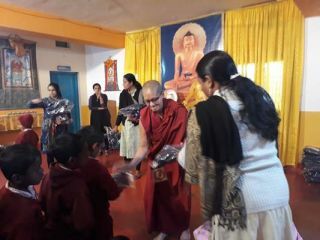 Lama Zopa Rinpoche, through the Lama Zopa Rinpoche Bodhichitta Fund, recently offered a grant to the CTA office in Bangalore (known as the CTA South Zone). Chief Representative Chophel Thupten explained that it is quite difficult to fundraise for administrative and upkeep needs of the office, but the needs are vast. 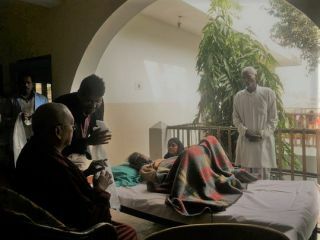 Rinpoche was very happy to help in this way and offered half of the amount needed for upcoming expenses. Lama Zopa Rinpoche Bodhichitta Fund enables Rinpoche’s compassionate service to others to flourish. 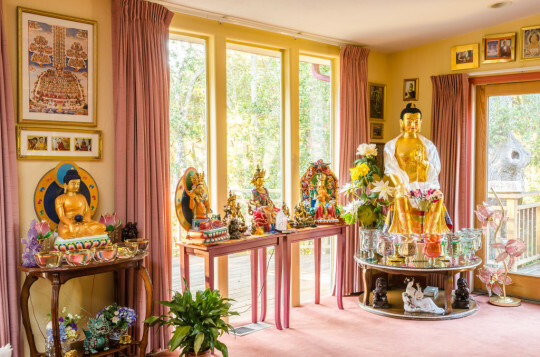 All the offerings from the fund are used toward the creation of holy objects around the world; sponsoring young tulkus, high lamas and Sangha in India, Nepal, Tibet and the West; supporting FPMT centers, projects and services; sponsoring Dharma retreats and events; funding animal liberations, and much more. 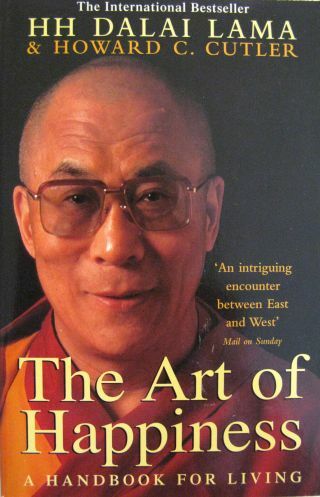 Lama Zopa Rinpoche has offered a grant for the translation of His Holiness the Dalai Lama and Howard C. Cutler’s Art of Happiness series from English into Tibetan. These translated books will be offered to the Tibetan community free of charge, thus giving Tibetan-speaking students access to His Holiness’s practical and universal teachings which are very well suited for lay students and will appeal very much to the younger generation of Tibetans who may not have had the opportunity to engage with the teachings in this format. Making His Holiness’s teachings available in this way is also one critical way we can help preserve Tibetan culture and support its relationship with the West. 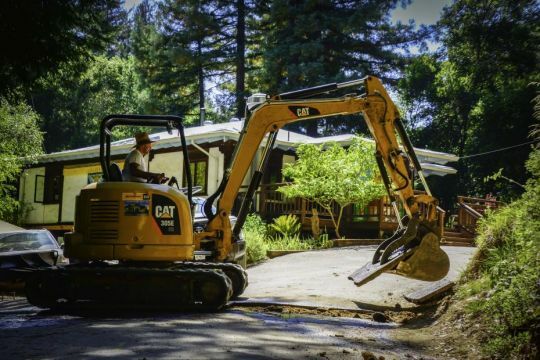 We will update on this important project as it progresses. 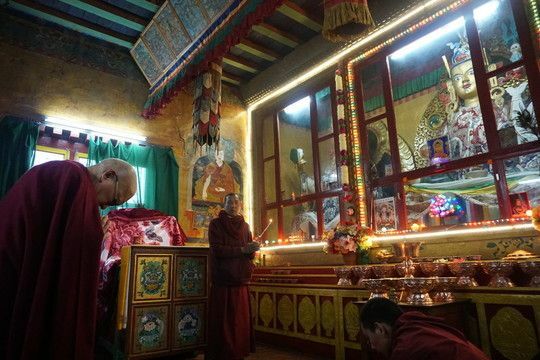 Recently when Lama Zopa Rinpoche was visiting Sera Je Monastery, he was requested to help with a new elevator at Sera Lachi. Sera Lachi is made up of Sera Je and Sera Mey Monasteries in southern India. 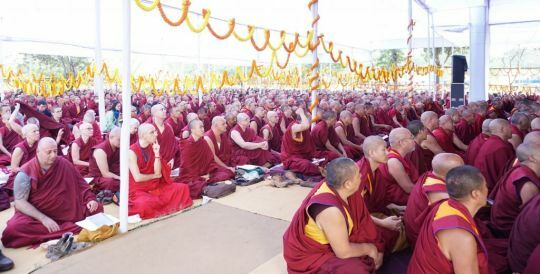 6,000 monks study between the two monasteries. 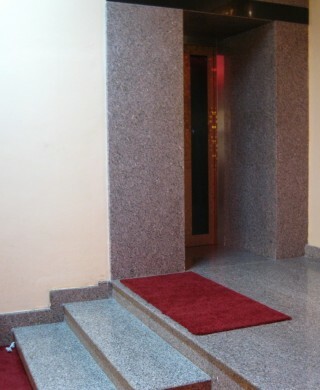 Entrance to the new elevator at Sera Lachi. The elevator will be used to bring His Holiness the Dalai Lama up to his rooms at Sera, which are located on the top floor. As His Holiness is now eighty years old, climbing all of those stairs has become difficult, and the monks wanted to have an elevator to easily bring His Holiness to his rooms and also to facilitate elderly monks getting to different levels of the building to access offices, rooms, etc. 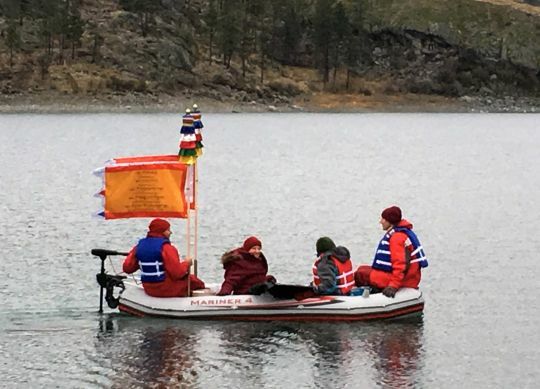 Rinpoche was very happy to make an offering of US$69,000 toward the cost of the elevator through a grant issued from the Lama Zopa Rinpoche Bodhichitta Fund. “Proper devotion to the guru, or virtuous friend, is the root of all success, from success in this life up to enlightenment, just as the trunk, branches, leaves and fruit of a tree depend upon its root,” Lama Zopa Rinpoche teaches in The Heart of the Path. 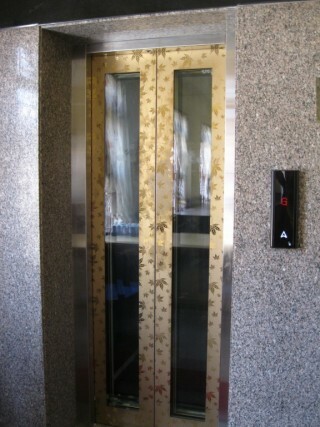 The new elevator installed at Sera Lachi. “Or we can think that guru devotion is like the fuel in a car or a plane, without which the vehicle cannot take us where we want to go. Without guru devotion, nothing happens – no realizations, no liberation, no enlightenment – just as without the root of a tree there can be no trunk, branches, leaves, or fruit. Everything, up to enlightenment, depends on guru devotion. 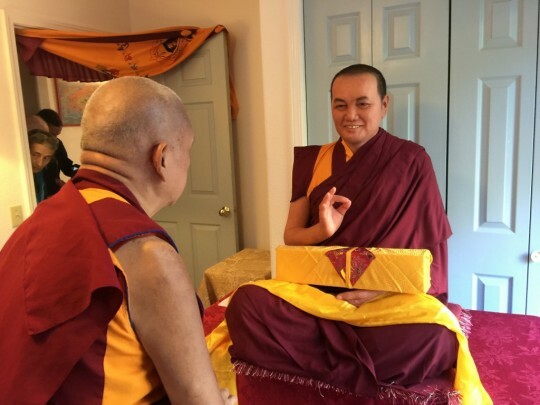 You can read more of Rinpoche’s teachings on guru devotion in “Why Do We Need a Guru?,” the first chapter of the book The Heart of the Path: Seeing the Guru as Buddha by Lama Zopa Rinpoche, published by the Lama Yeshe Wisdom Archive. Since 2011, Vajrapani Institute has been working with others to create a lifelike statue of FPMT’s precious founder, Lama Yeshe. 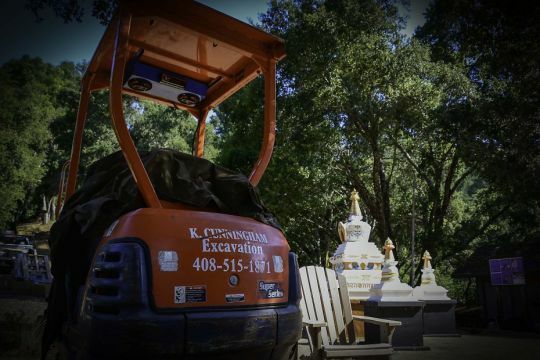 In 2013, Lama Zopa Rinpoche offered US$10,000 toward the completion of his statue. Lama Zopa Rinpoche meets the new statue of Lama Yeshe at Vajrapani Insitute, November 2015. Two years previously, when Fabienne was checking the progress of the statue with Rinpoche, Rinpoche told her that the statue should go in Vajrapani Institute’s new gompa (yet to be built) surrounded by 999 smaller replicas to make a total of 1,000 Lama Yeshe statues. This will form the main altar of their new gompa. The smaller statues will be made from a mold which comes from a 3D scan of the main statue. With the 3D scan, they will be able to reduce the size of the statue to whatever height they determine. From that mold, they can also create smaller replicas (either in fiberglass or possibly bronze) to offer to benefactors. 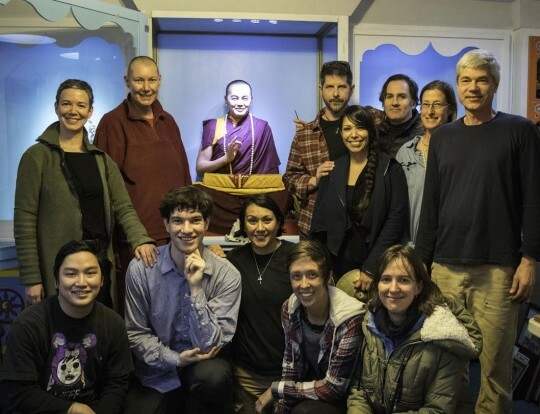 Members of the Vajrapani community with the new statue of Lama Yeshe. About building statues of one’s guru, Lama Zopa Rinpoche commented, “When you build a guru statue, you get the merit of having built numberless Buddha statues. Whether you build small or big you get unbelievable merit, the same merit as numberless statues of Buddha.” While Rinpoche offered to cover the cost of half of the smaller statues, he suggested that students should also join in the incredible merit of the statue creation by helping sponsor the other half. That is 500 opportunities to create the merit of building numberless Buddha statues! 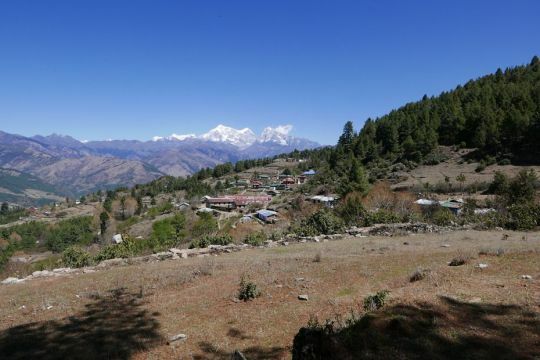 Vajrapani isn’t actively fundraising for this project yet, as they have to first build a prayer wheel, then a gompa, then an altar, in addition to other tasks before they will create the statues. But when the time approaches, all are welcome to join in and help fulfill this incredibly auspicious request from Lama Zopa Rinpoche. Vajrapani Institute wishes to thank Ven. Jamyang Wamgo who initiated the project and Elea Mideke who helped see this project through to completion and traveled to Thailand twice to work with the local artists. The Lama Zopa Rinpoche Bodhichitta Fund enables Rinpoche’s compassionate service to others to flourish. 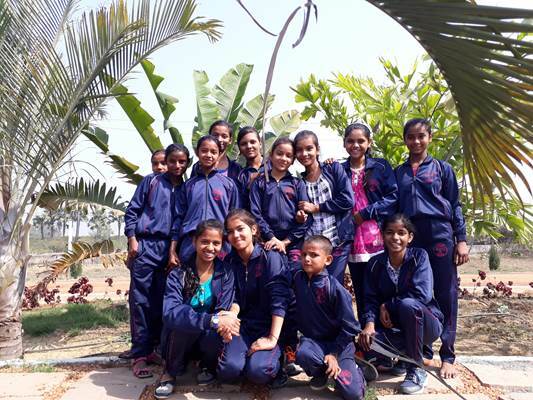 You can learn more about other beneficial activities this fund supports.